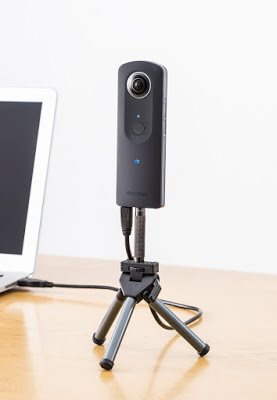 Ricoh will be producing a new accessory for the Ricoh Theta — the TE-1 extension adapter. The extension adapter is designed to allow you to use the Ricoh Theta on a tripod while using the USB or HDMI port. This would make it more convenient to use the Theta while livestreaming or transferring photos to your computer, for example. The TE-1 will be available starting May 13.